Get improved handling and ground clearance from our Tubular Complete Coil Spring and Shock Kit. Your choice of 1", 2" or 3" lowered front coils and 3", 4" or 5" lowered rear coils. Kit also includes complete front upper and lower Totally Tubular control arms in black or silver and all (4) Black Magic lowered performance shocks. Specify year, lowered stance and black or silver arms when ordering. 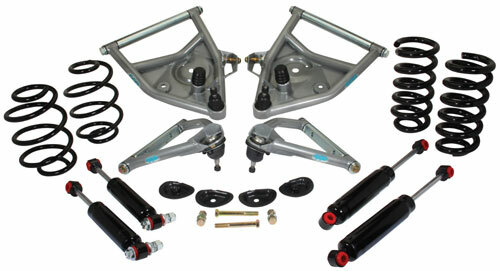 Not for leaf spring trucks and #7387TCA-CSSK does not include rear coils or shocks.